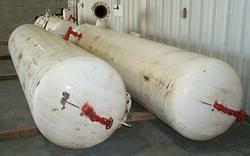 We have been using chemical solution is an cost effective and efficient. 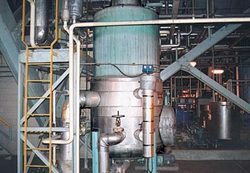 Which is removing Oil contamination and corrosion from Industrial Plant Equipments. Our chemical engineers,Technicians highly qualified having lots of experience carried out onsite lab analysis of cleaning process. It will successfully remove the fouling from inside plant without affecting the process equipment. *Degreasing treatment for removing oil and hydrocarbon. *Acid pickling treatment for removing rust, mill scale and welding slag. *Passivation layer to protect surface from oxidation. *Pickling and Passivation treatment for stainless steel. *We are using circulation and soaking methods. *Improve the self life of the system. *Strengthen and protects the base metal. *Non toxic and eco - friendly. Pickling or chemical descaling is but one of several pretreatment steps available for preparing an article for further processing such as passivation or to perform a superior cleaning operation of welded structures. We provide the standard achievement of cleaning in Fin-Fan Cooler with foam. We also engaged in this activity with well experienced service persons. The pickling process is used to remove a thin layer of metal off of the stainless steel part. This is different from the descaling process, which removes visibly thick oxide scale from the stainless steel part. Corrosion on the contacted part can occur if the process is not done by a pickling specialist. To match our state of the art facility, SLChem has some of the top pickling specialists in the country. Looking for Chemical Cleaning Services ?